Rudy is thin, erect, comfortably dressed, and soft-spoken, willing to discuss at length his adventures in the arts starting with an illumination that came over him when sitting in a classroom at Wilbur Wright Junior High School in Cleveland. “I learned that people actually paid people to draw things,” said Rudy. It may have seemed at time like a random walk through life, starting with pen and ink cartoons until he studied more formally at the Cooper School of Art. 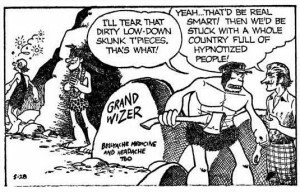 At the Newspaper Enterprise Associates, he had the job of lettering dialogue balloons in “Alley-Oop” comic strips. When Rudy’s job moved to New York, he took night classes at the School of Visual Arts, and attended a design class taught by Milton Glaser. 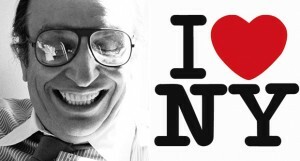 “You know Milton designed the slogan logo, the ‘I love NY’ slogan, substituting a heart pix for the word, ‘love,’ a messaging technique since widely copied,” said Rudy. 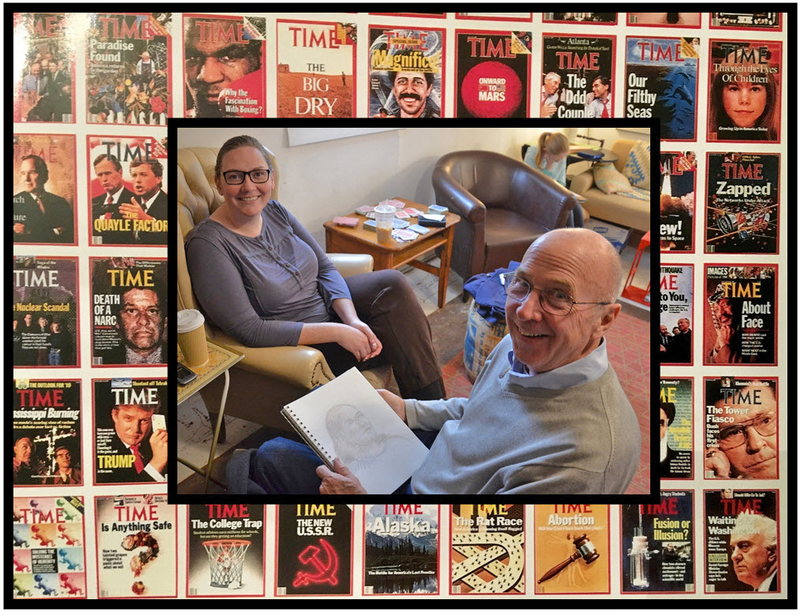 The Time cover is the entre to the message within the magazine. Rudy explained how he created some covers so that it wouldn’t be what anyone else had on their covers. Robert Rauschenberg, born in Texas, was an artist of breadth, who studied at the Kansas City Art Institute and the Art Students League of New York, and was highly regarded for taking materials and objects and creating an imaginative combination. 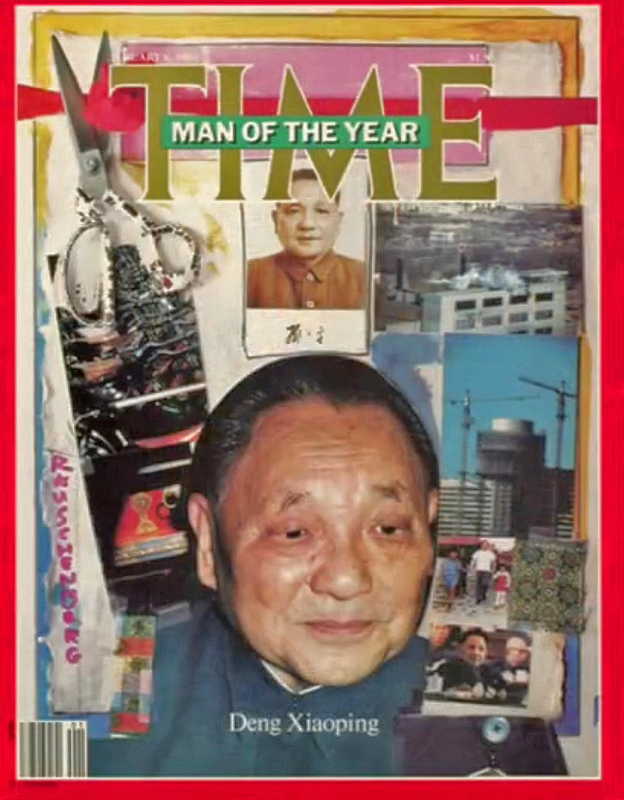 That’s what Rudy was looking for, an artful collage by an established artist, to create a cover featuring Deng Ziaoping, the leader of China after Mao Zedong’s death in 1978, fairly considered both a reformer and a despot. Deng had quite a story and had been purged three times from the Communist Party before becoming the leader of China. Now Rauschenberg had to create the art work and we had a deadline back in New York. 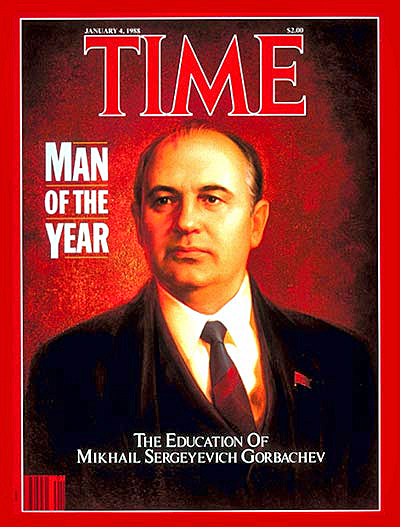 Mikhail Sergeyevich Gorbachev was the last leader of the Soviet Union, and his policies of glasnost (“openness”) and perestroika (“restructuring’) contributed to the end of the Cold War. “I went to visit with a sculptor in Switzerland and he made this bust of Gorbachev that became the cover. A year later the sculptor committed suicide,” said Rudy. Rudy went back to his sketch. He not only got paid for “just drawing things,” he got a lot more than that. Terrific article, John. Thanks very much. I worked with Rudy a while ago when he was Creative Director of a large history magazine publishing company then headquartered in Leesburg. I’m an artist as well as a magazine editor, and Rudy took an immediate liking to my work. Reading your story makes me appreciate that all the more. Several times he mocked-up magazine covers using my paintings; one day I arrived at my office to find a postcard on my desk: the image side was a faux New Yorker cover built around one of my paintings; on the reverse, where the message and address would appear, was a “postage stamp” made of another of my paintings—the whole assembly a thank you note from Rudy for a minor favor. It’s sitting in eyesight on my desk now. Thank YOU for introducing our community to this talented gentleman.